Out of hundreds of applicants, TeamEQ is one of 20 global startups selected by Menorca Millennials to go for two weeks. They will learn from some of the top tech leaders in the world. There are 150 exclusive invites and TeamEQ is excited to be one of them. From June 1 to June 15, 2017, TeamEQ will travel to the island of Menorca and experience the world’s first startup decelerator. The difference between an accelerator and a decelerator is the shift in focus. Decelerators focus on people and building authentic relationships. The goal of deceleration is to analyze the startups’ business models and face their next stage in growth in a slow, detailed manner. During the 15 days, there will be a variety of activities and speakers that allow for the companies to grow, share and interact with each other. There will be many influential speakers during the 2017 event, including Martin Varsavsky, CEO at Prelude Fertility, Cole Mercer, Senior Product Manager at SoundCloud, Diana Moret, founder at PANDORAHUB and many more influencers. Many startups have gone through this program and have been successful such as the Debut, the program that connects students to employers, SocialVane, the world’s most comprehensive travel analytics source, and Skylight, an app for real estate. One year after participating in the Menorca Millennials event, the startup was acquired by Common, a Brooklyn-based company. 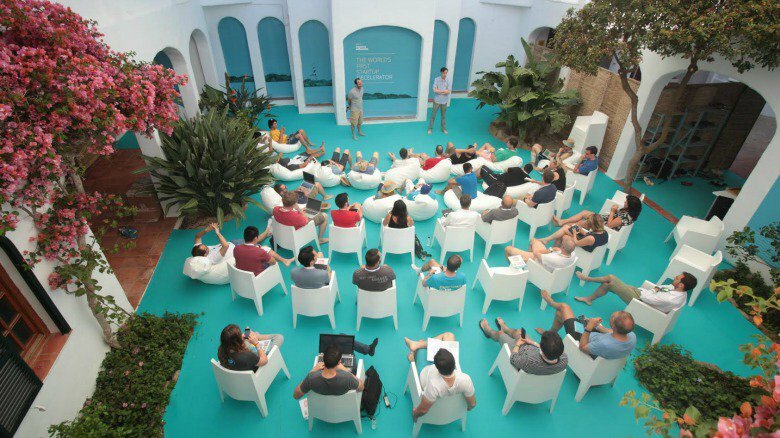 These alumni and many more startups have flourished after attending Menorca Millennials. Menorca Millennials is taking learning from the office to the beach.“Talk with this Experience Makers in flip flops, close to the beach, it’s totally different.” Alejandro Santacreu, CEO and Founder at PuzzlePhone, said on menorcamillennials.com. TeamEQ is excited to chat with many of these leading forces in the business community and spend the two weeks in the Menorca sun with them.